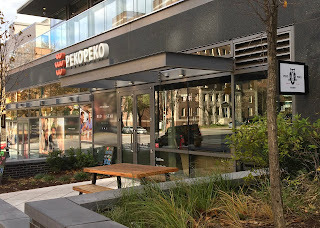 On a recent blustery, chilly Sunday, I decided it was the perfect time to try PekoPeko Ramen. Lured in by the promise of noodles and rice bowls, I was eagerly anticipating my meal, which was fitting, as PekoPeko loosely translates to "let's eat." 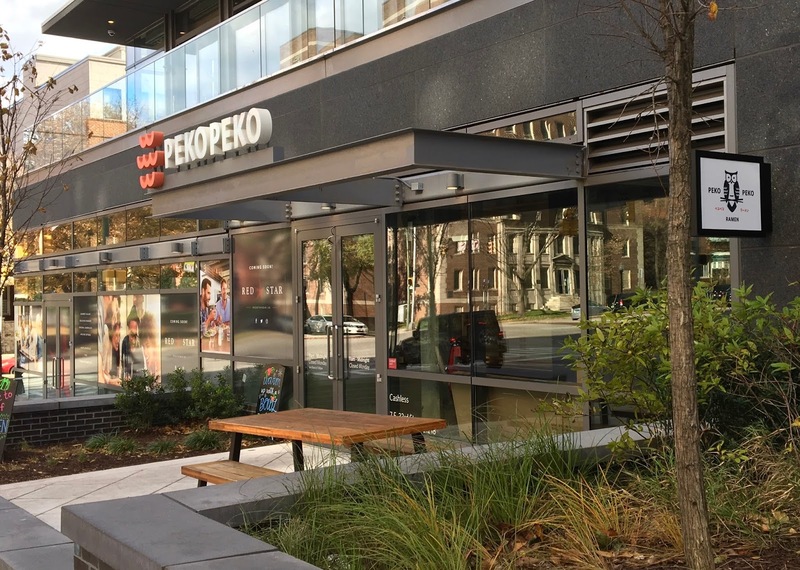 From the start, PekoPeko Ramen upends the "traditional" dining experience. Customers order at the host podium, and pay before being seated. The restaurant is cash-free, and tip-free too, because tips are built-in to menu prices. Once you order and pay, you can select any seat in the house, and there are several nice seating options to choose from if you are dining solo or are with a group. 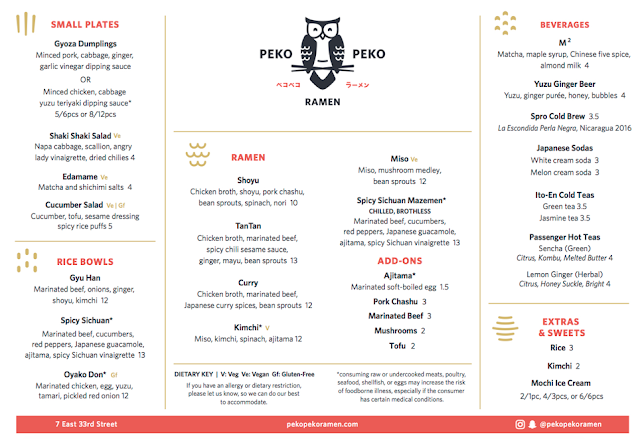 PekoPeko Ramen's menu marks gluten-free options, which are all of two items. In speaking with a staff member, the Miso Ramen is also gluten-free, if the noodles are swapped with rice. From a dairy-free standpoint, the restaurant is a home run, as everything is dairy-free. 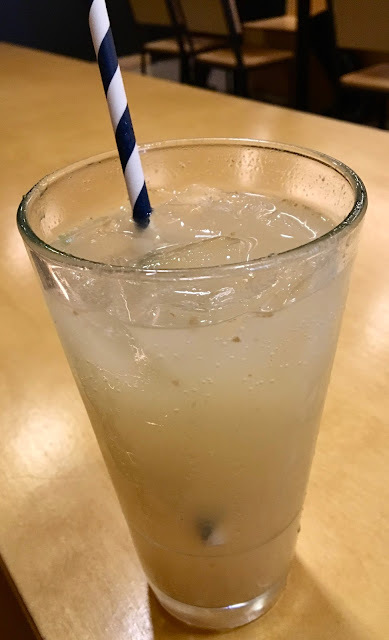 As a beverage, I decided to try the yuzu ginger beer, a house-made concoction that uses yuzu (an asian citrus fruit), ginger puree, honey, and carbonated water. The drink is absolutely delightful, with bold sweet and sour flavors and a fun texture from so much fizziness. I loved sipping on it throughout my meal for a burst of ginger flavor that complemented my food. I ordered the oyako don, a rice dish that is naturally gluten and dairy-free. 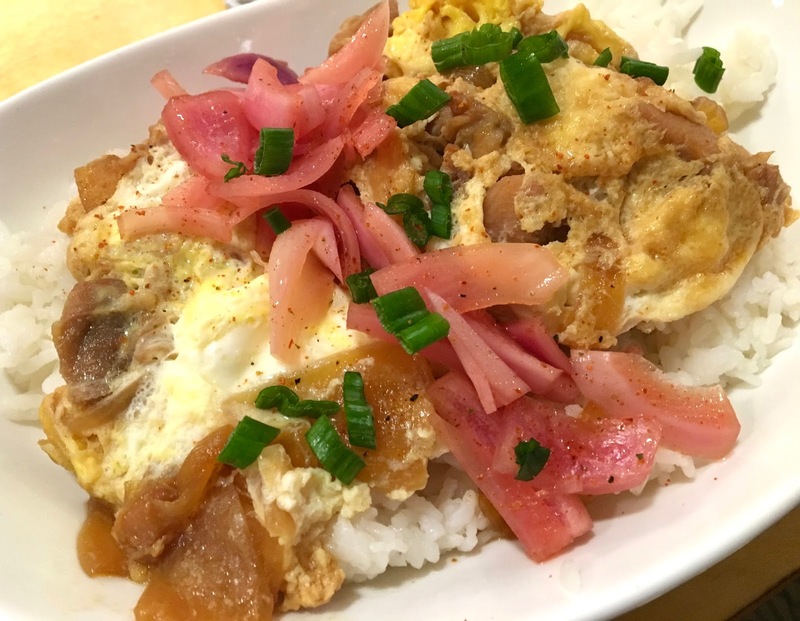 I'm pretty sure this dish was custom-created for me, because it features my two favorite proteins (chicken and eggs) and my latest obsession- pickled onions! The chicken is marinated with tamarind sauce and is incredibly tender. The egg is cooked firmly all the way through, and the combination of the two proteins filled me up for the entire afternoon. I loved how the savory flavors contrasted with the tart sweetness of the pickled onions. Flakes of chili added a subtle heat, and a bed of generously portioned fluffy sticky white rice brought every component of the dish together. At the end of my meal, I left full and happy, already dreaming of a future visit. PekoPeko Ramen totally won me over with their food and hip vibe, which made me wish I could linger in the cozy shop all afternoon for an Asian food powered study session. I definitely will be frequenting the shop in the cold, dreary months ahead, and am glad I have found a new restaurant in Baltimore where I can get my comfort food fix. 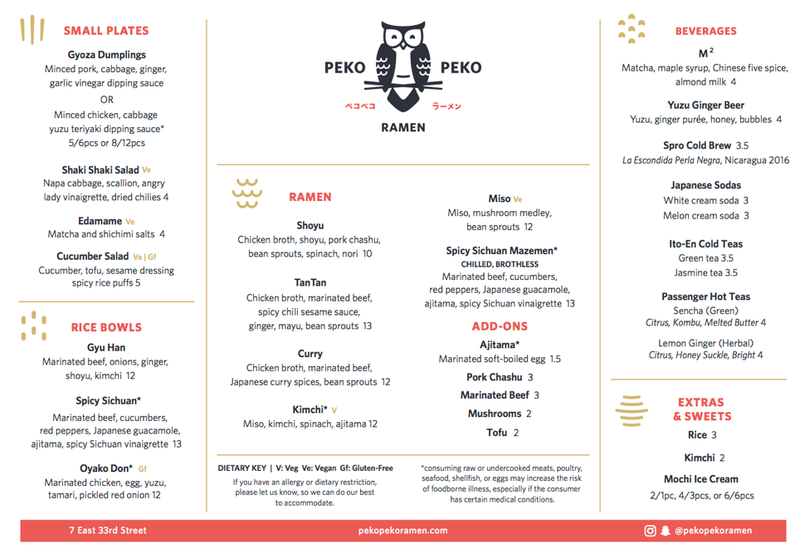 Special Feature: PekoPeko is cashless (they only accept credit card/Apple Pay/Samsung Pay). Reservations not accepted, though you can join the waitlist online here.